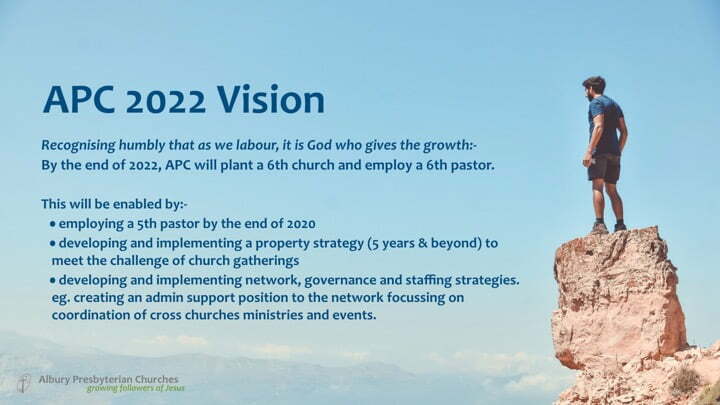 By the end of 2022 APC will plant a 6th church and employ a 6th pastor. developing and implementing network, governance and staffing strategies. eg. creating an admin support position to the network focussing on coordination of cross churches ministries and events. 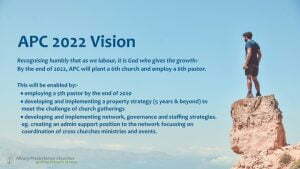 By the end of 2017, we will have employed a fourth pastor and planted a fifth church in Thurgoona.